These are the four verses I had written down on a piece of notebook paper today. Only what you see there. I didn’t have what they said, just the address to find them in the Bible. I stared at these several times as I gave a state test today to a few students. These four verses are from the Jesus Calling book that was on the teacher’s desk. ( I was in a different room than my usual.) There was no Bible in sight and I, of course, could not use a phone or a computer. Reading of any kind is really discouraged as well. You could say, proctoring a test is a little worse than prison. At least you can read the Bible there! I know, that’s really not a good joke. I’m sorry. Let’s just say: state testing is a huge deal in Texas. Teachers are to stare down the kids and make certain they do nothing that would resemble cheating in any way. I understand that and do my duty. So, there I was, watching students, counting my steps around the room ( I stopped counting at 1500, but certain I did about 3 or 4 hundred more) and wishing I had a BIBLE. I read LATER when I googled it that if I had gone over 2000 steps, that would equal to about a mile. I’m certain I went a mile or 5 today. Besides keeping up with my steps, I realized that I long for God’s word. I wanted to see what those verses were! I have been working to memorize verses, but I don’t do so well with numbers. I strained my brain trying to figure out if I’d written those down before–I’m sure I’ve read them at some point. The boredom of the morning made my brain very unresponsive to coughing up answers. I think that is when I really started counting my steps. Then I thought WHAT IF…What if I was like one of those tribes you hear about who have never seen a Bible or much less know what something like John 3:16 even refers to. What hope would I have!? I would have no CONSTANT FRIEND –sure, I have earthly Godly friends, but they are not with me 24/7! What would I do without my ENCOURAGER, STRENGTH GIVER and CONSTANT HELP? I’d be a mess, that’s what I’d be! Id’ have no key, no compass–no direction. There would be no purpose in the things I do. They ARE already dead! How awful! They are like the walking dead, but without the zombie like features. So, they are like “pretty” zombies, I guess. HA! I don’t want to be any kind of zombie–undead creature. I want to be a born again, living to the fullness of God’s LOVE and JOY and PEACE. Give me Jesus! Give me LIFE! GIVE ME A BIBLE! I’m going to go look up those verses now! I have to remember that GOD is always with me. HE has all I need. 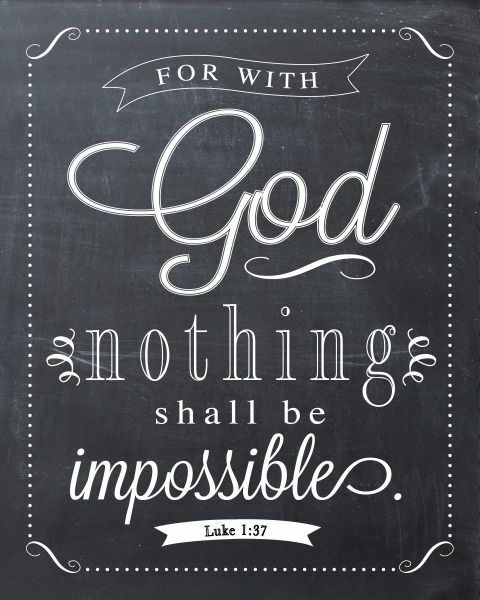 …and with GOD anything is possible! God allows me to create great art. He guides me to do wonderful things. 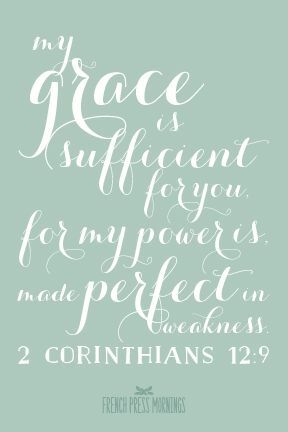 HE gives me the strength to finish tasks that there is no way in this world I could ever do alone. Maybe you think you are sooooooo awesome and can do everything on your own, but me, I know GOD is my strength. HE is the one that makes me awesome. I cannot be awesome on my own! He is my POWER. HE is always there for whatever I need. He is who provides me with my positive attitude. He takes care of my family. It’s not “luck.” It’s not coincidence. IT’S GOD!!! make it through a situation, create something awesome or accomplish some great feat. I’m serious. It’s true. It is PRAYER. Thank You, Lord, for allowing us to go straight to YOU!